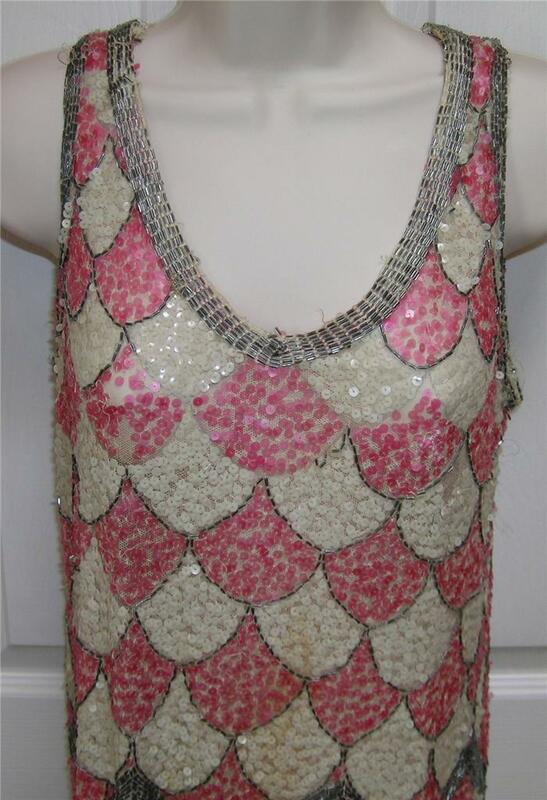 From a New Jersey estate, this old flapper dress measures 38" long, has a 34" bust, and 38-39" hips. 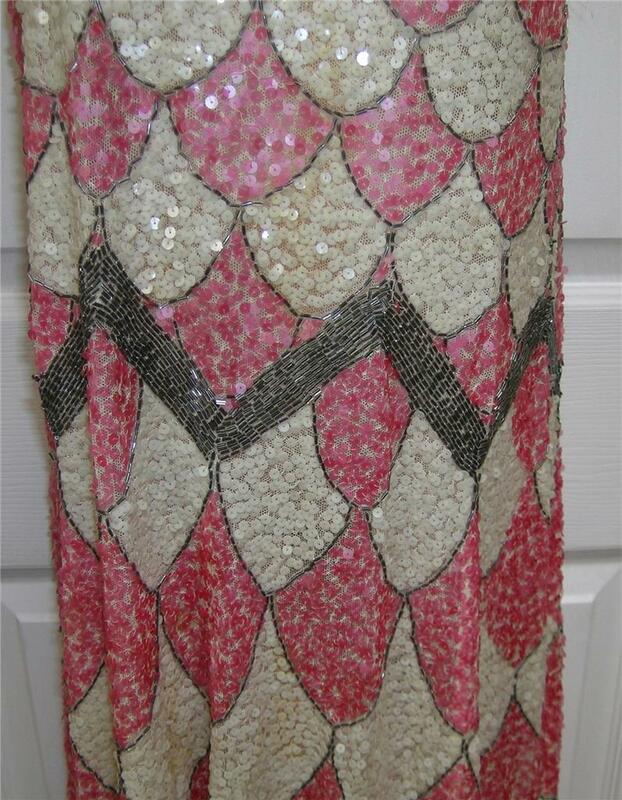 Heavy and stretchy, it has considerable sequin loss in some areas, with less extensive bead loss/loose threads. Lace netting is in good condition with only light staining in a few places. Photos are a good representation of condition. It looks like she forgot a spot! A very wearable sized dress.